We are pleased to announce the availability of a BURST mining pool for public use. 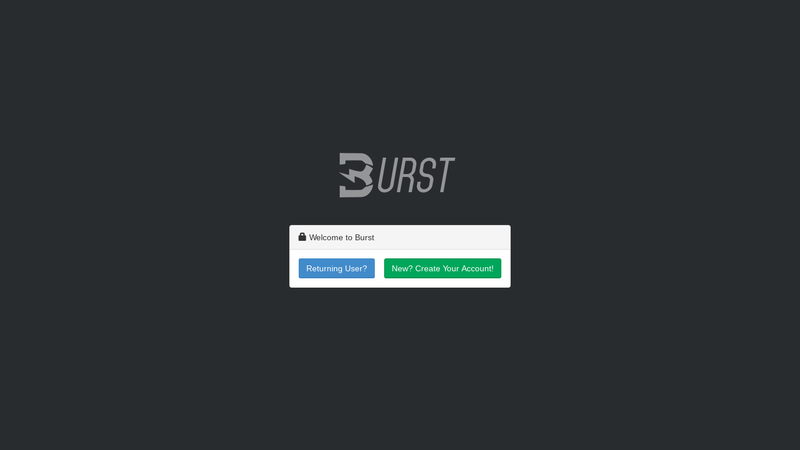 BURST is very easy and cost effective to mine, using just your empty hard drive space! 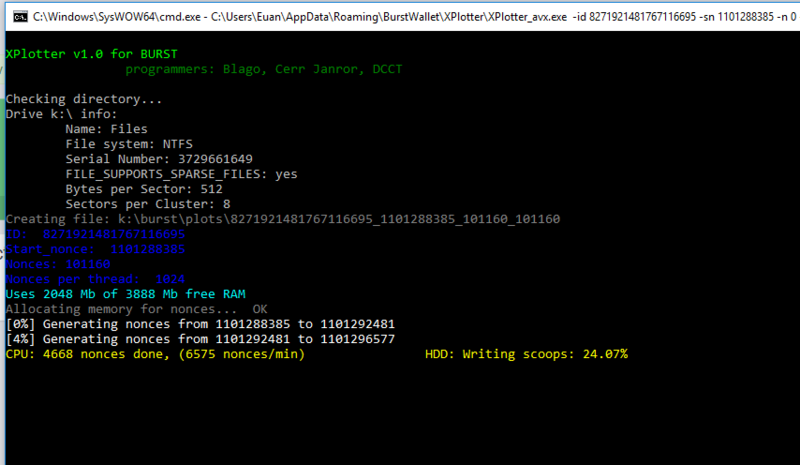 First of all, you need to download the BURST wallet/plotting/mining software from the BURST github repo. You don’t have to use the built in wallet, there are plenty of other online wallets but we will be using the software you just downloaded for preparing the drives. 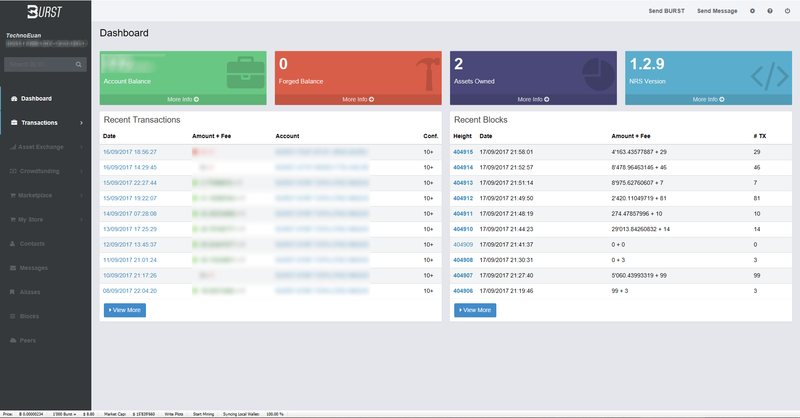 There is also an online wallet as part of the client, so if you want to get started with mining quickly, we recommend you use the online wallet. Hit ‘New? Create Your Account’ and you’ll be given a 12 word passphrase. DO NOT FORGET THIS! Write it down, get it tattooed on yourself, learn it by heart.. anything! If you lose this passphrase you will not be able to access your wallet from anywhere. Re-enter the passphrase in the next part of the creation process and then move on to part 3. This is your wallet, and is where you will come to check your balance or make transactions. Your BURST address is on the left pane. Before you can start earning BURST however, there are a few pieces of housekeeping we need to do. First of all – as a network requirement – you need a couple of BURST to make some configuration changes. Luckily we thought about this, and provided you with a BURST faucet! It should give you a small amount of BURST, which will suffice for our needs. These burst will take a few minutes to come through, so go and make a cup of coffee. 5. First of all, you need to set a name for your wallet. Click on ‘no name set’ and choose a suitable name. It will cost you 1 Burst, but now your wallet is ready! 6. Now it’s time to prepare our hard drives. 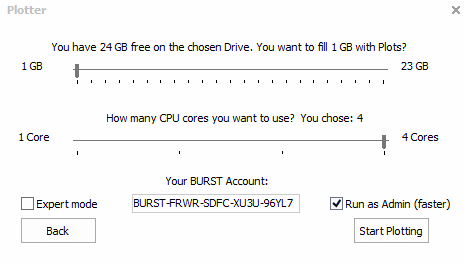 BURST Mining uses a process called plotting to prepare the hard drives for mining. The plots will use up the hard drive space, so be careful as to how much space you can safely allocate whilst keeping your system running. Almost any hard drive or storage medium will work. The more storage, the better! First of all, click ‘Write Plots’ in the bottom menu on the client. Then choose which drive you wish to plot and press ‘Plot this Drive’. Use the slider to choose how much storage you want to use, and how many CPU cores you want to use during the plotting process. Please note that plotting is CPU intensive, and takes a while, so if you intend to still use your computer whilst plotting the hard drives leave 1 or 2 cores open to you. Then make sure you select Run as Admin (as it will make plotting faster) and then ‘Start Plotting’. Repeat this process as many times as you need to, depending on how many hard drives you wish to plot. Enter our pool burst.cryptosphere.world into the choose pool section and then press ‘Change Reward Assignment’. This should automatically copy our Burst Pool address into your clipboard, but if for some reason it doesn’t it is BURST-ATHY-NWXS-YT9J-ASL5N . Paste this in the Recipient box, and enter the passphrase to your wallet in the other box. Then press submit. If you are greeted with a confusing page of data.. you did it correctly! Now you need to wait about 20 minutes for your reward assignment to change, and then you can begin mining. This should bring up a window like this, showing the drives loading and the latest block. If it doesn’t, and the command prompt window is empty or only shows a small amount of text, try switching the mining pool address to 137.74.46.59 instead. Remember, the more people/storage capacity that join the pool, the more chance we have of winning blocks! Good Luck! And happy mining! Next Article Where we have been, Bitcoin Boom and more!